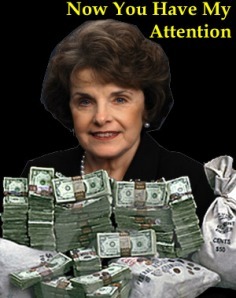 From Dianne Feinstein’s Website: A list of her accomplishments? Interestingly the 79-year-old senator has no accomplishments listed for the 112th Congressional term. Perhaps she was sleeping. Promoting high-speed rail: Senator Feinstein was a vocal champion of the federal High Speed Rail Program. California voters have approved a public-private partnership to build a high-speed rail corridor linking Northern and Southern California. Through 2010, California set aside approximately $5.5 billion in federal and state funds for the first phases of the rail line. She has never even asked us if we wanted such a travesty. This is certainly a project worthy of Feinstein’s multiple fiscal indiscretions. With $5 Billion on the table, look for some of that money to be going to one of her husbands companies. History does have a way of repeating itself doesn’t it? U.S. Senate hopeful Elizabeth Emken who won the endorsement of the California Republican Party. 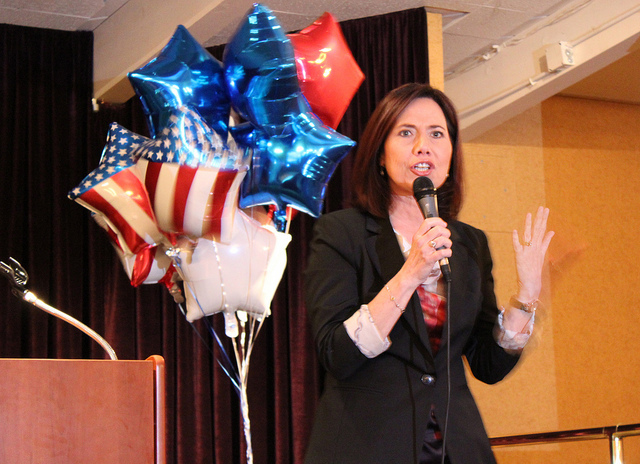 Emken, also a strong advocate for autism research, spoke about many of California’s problems including jobs and debt. Emken plans to unseat Democratic U.S. Sen. Dianne Feinstein this November. “Dianne Feinstein is asleep at the wheel,” Emken said. In 2010, Senator Feinstein was a vocal advocate for extending the Treasury Grant Program, a program that has been widely credited with maintaining growth in the renewable energy sector in the midst of an economic downturn. In 2009 and 2010, the program supported $18.2 billion in clean energy investment. A one-year, $3 billion extension was included in the tax cut extension package signed into law on December 17, 2010 (P.L. 111-312) ?? Nuclear weapons treaty with Russia: Senator Feinstein was a leading proponent of the New Strategic Arms Reduction Treaty, ratified by the Senate in late December 2010 and presided over the Senate Intelligence Committee’s review earlier in the year of the treaty’s monitoring and verification provisions. Now that certainly worked out well didn’t it? Passed during a congressional recess along with some RINO’s who will no longer be representing anyone Russia smoked the 79-year-old Feinstein. Nuclear weapons treaty with Russia: Senator Feinstein was a leading proponent of the New Strategic Arms Reduction Treaty, ratified by the Senate in late December 2010 and presided over the Senate Intelligence Committee’s review earlier in the year of the treaty’s monitoring and verification provisions. There she goes again, taking care of Northern CA and forgetting about Southern CA. Reining in risky banks: Senator Feinstein was an original cosponsor of an amendment that implemented the Volcker rule, prohibiting banks from making risky bets using deposits backed by federal insurance. The amendment was included in the Dodd-Frank Wall Street Reform and Consumer Protection Act, signed into law on July 21, 2010 (P.L. 111-203). Head’s up Dianne, banks don’t make risky bets they invest. As for your Dodd-Frank reform act that actually cost tax payers more money, it will be repealed as soon as you and your boss lose power. Restoring the San Joaquin River: A bill Senator Feinstein authored in 2007 to authorize and fund the historic San Joaquin River restoration settlement to restore and maintain fish populations in the San Joaquin River was included in the Omnibus Public Land Management Act, which was signed into law on March 30, 2009 (P.L. 111-11). Restoring Lake Tahoe: Senator Feinstein co-sponsored the Lake Tahoe Restoration Act, which would authorize a broad array of programs to mount an aggressive attack on these threats. It was blocked from passage by one senator. Restoring the San Francisco Bay: Over the past few years, Senator Feinstein helped secure $32 million in restoration funds as Chairman of the Appropriations Subcommittee on the Interior. She also introduced the San Francisco Bay Restoration Act, which provide grants for ecosystem restoration projects and habitat improvement for fish, waterfowl, and wildlife. $390 million for water infrastructure and drought relief projects in California (enacted in the American Recovery and Reinvestment Act). 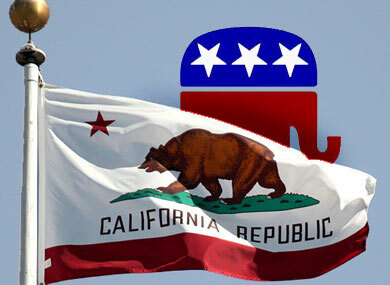 $40 million to CalFed (enacted in the 2010 Energy and Water Appropriations Act). $10 million in federal funds for efforts that could deliver more water to the Central Valley in the near-term (enacted in the fiscal year 2010 Energy and Water Appropriations Act). These were TARP Funds and it is very questionable that these accomplishments took place.